When an angel of death breaks her Valkyrie oath, she’ll face Valhalla’s brutal wrath. 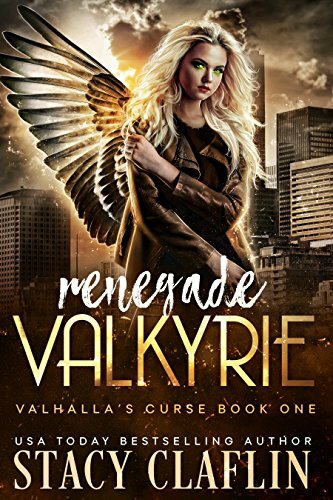 Renegade Valkyrie is the first book in the gripping Valhalla’s Curse series of urban fantasy novels. If you like sweet paranormal romance, plucky heroines, and underworld fantasies, then you’ll love USA Today Bestselling Author Stacy Claflin’s spell-binding novel. Read Renegade Valkyrie to fight alongside a lawbreaking angel today! Pick it up today and you won't put it down until the stunning conclusion.